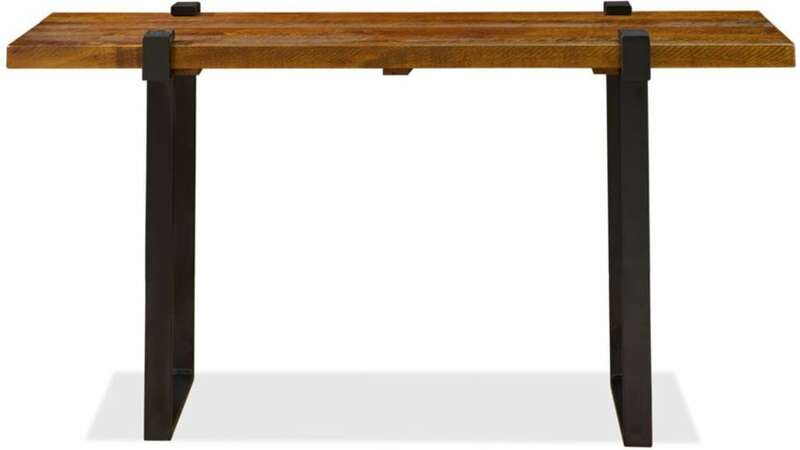 Bring a handcrafted touch into your space with the Santa Fe Sofa Table. This versatile table will be perfectly at home, accompanying a sofa in your living room or next to your front door. No matter where you place it, this table is sure to fill your home with style. This one-of-a-kind piece features a North American hardwood top, supported by a steel clamp base. With such high-quality materials, it's no wonder that this will be in your furniture collection for generations. The North American hardwood top features a glowing grain. 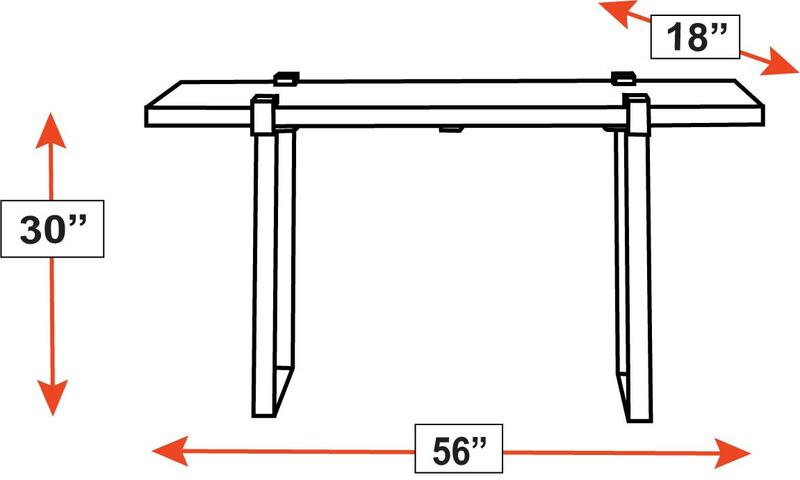 The steel clamp base durably supports this table, from the bottom up. This table was handcrafted by skilled artisans. From the hands of a skilled craftsman to your home, the unique quality of handmade furniture can't be beat. Set this piece in your living room for a foolproof coffee table or in a hallway, for the perfect added storage space. Don't miss this opportunity to incorporate the excellence of this handmade piece into your home. With Gallery Furniture's same-day delivery, you can have this table set up in your home TODAY!